Foil made from a thin leaf of tin was commercially available before its aluminum counterpart. It was marketed commercially from the late nineteenth into the early twentieth century. The term "tin foil" survives in the English language as a term for the newer aluminum foil. Tin foil is less maleable than aluminum foil and tends to give a slight tin taste to food wrapped in it. 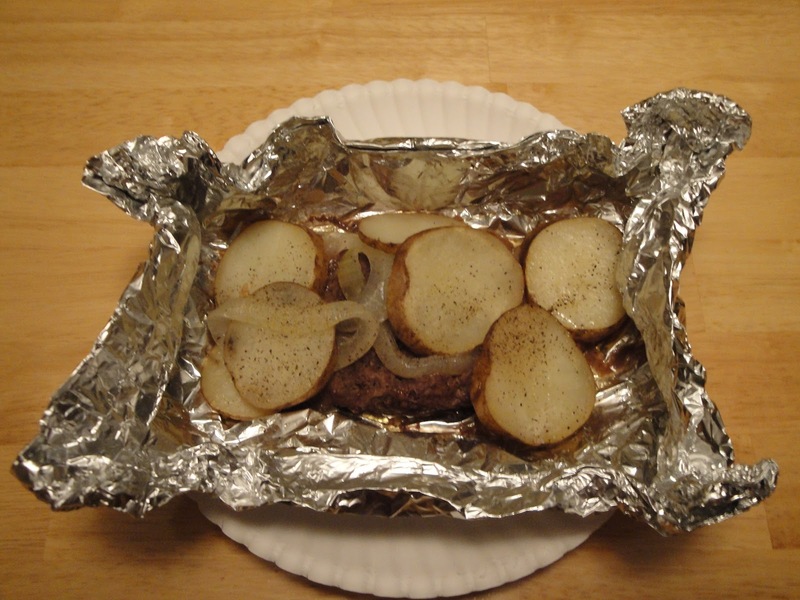 Tin foil has been supplanted by aluminum and other materials for wrapping food. Tin was first replaced by aluminum in 1910, when the first aluminum foil rolling plant, "Dr. Lauber, Neher & Cie." was opened in Emmishofen, Switzerland. The plant, owned by J.G. Neher & Sons, the aluminum manufacturers, started in 1886 in Schaffhausen, Switzerland , at the foot of the Rhine Falls - capturing the falls' energy to produce aluminum. Neher's sons together with Dr. Lauber discovered the endless rolling process and the use of aluminum foil as a protective barrier in December 1907. The first use of foil in the United States was in 1913 for wrapping Life Savers, candy bars, and gum. Processes evolved over time to include the use of print, color, lacquer, laminate and the embossing of the aluminum. As is the case with all metallic items, aluminum foil reacts to being microwaved. This is due to the effect of electric fields of the microwaves causing a build up of charge to form between the sharp points in the aluminum; if enough charge accumulates it will discharge to a different place on the foil, creating a spark (i.e., arcing). The design of modern microwave ovens has been corrected so microwave energy cannot be reflected back into the magnetron, and aluminum packages designed for microwave heating are available. Serve in the tin foil, makes for easy clean up. Thank you, Heidi for the versatile award. I truly appreciate it. Visit Heidi at Young Grasshopper. Shape beef into 4 patties, place in center of foil. Season patties with pepper, salt, worcestershire sauce and liquid smoke. Add onions and potatoes. Sprinkle salt and pepper, if desired. Fold foil and seal well. Place on sheet pan. Bake at 350 degrees for 45 minutes, until potatoes are tender. Carefully open foil. Enjoy! Note: You may also grill this dinner. I would love it if you made this. I encourage folks to share my recipes, please link back to me. Thank you so much! new to me, looks wonderful!!!! What a great name for a comforting dinner, I love it! Fab idea Christine. I love the idea of easy cleanup. I do this with potatoes quite often. You seriously had me at potatoes and liquid smoke! This would a great weeknight dinner! Just being in the foil makes this more fun to eat. Great idea, Christine. 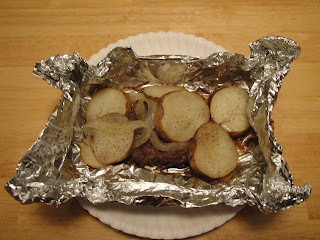 Love to cook with foil, it is so easy to clean up. Have a good weekend. I love the history behind your posts and the great recipes - that's why I nominated you for the Happy Blogger award! Thanks for all the great information and recipes! Thank you so much, Stephanie! I truly appreciate it. I don't know what my life would be without foil. I use it all of the time. This meal is so simple and easy. Perfect for my husband when I am traveling but heck I would make it too for me. Oh! Hobo dinner! Now I see what this is. My mom used to do something similar in the summer on the grill but I can't remember what if anything special she called it.